How to get started with Shuffle Rogue in the new Boomsday meta. Our Shuffle Rogue deck list guide features the best deck list for Season 53 of Boomsday (August 2018). 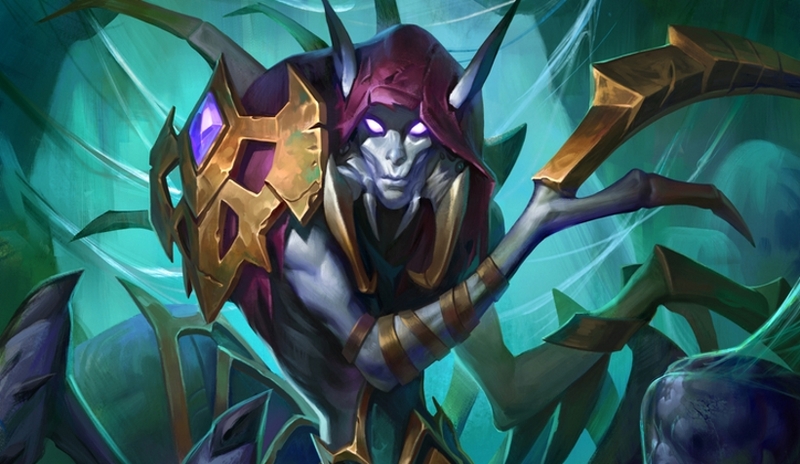 Our Shuffle Rogue guide also contains Mulligan advice, card combos and strategy tips. Shuffle Rogue is a new kind of Hearthstone deck that exploits a couple of new Boomsday cards for its power. Augmented Elekk is the signature card, which causes all shuffling effects to go off twice. Combine this with Academic Espionage and Fal'dorei Strider, and it's possible to build a massive deck with the potential to wreck the opponent in pretty short order. In the first edition of this guide we're keeping things pretty simple, with a refined deck list, an overview of the strategy involved, and a look at all the combos contained in the list. If the deck proves popular we'll update all sections, and go into greater detail about how to pilot Shuffle Rogue. Here's the version of the deck that created by J4CKIECHAN for the very start of the new Boomsday met . It goes without saying that this deck will be updated over time, so please be careful with some of the pricier crafts. The general idea with this deck is to use cards like Backstab, Fire Fly, Loot Hoarder and SI:7 Agent to control the board, and perhaps even build up a beefy Edwin VanCleef if circumstances work out in that direction. It's the interactions between Augmented Elekk, Academic Espionage, Fal'dorei Strider and Preparation that really make this deck shine though. By blending these cards together, it's possible to create a massive deck, one which builds a board of spiders as you draw through it using cards like Sprint. That's a very basic overview of playing the deck, then, but we'll update this section with match-up advice if Shuffle Rogue proves popular in the long run. For now, have a look through all the combos we've detailed at the bottom of the page for further insight. We'll update this section with Mulligan advice once we've played this a little more in the Boomsday Project meta. - The next spell you cast after playing Preparation will cost three Mana less. This comfortably allows you to play Augmented Elekk, Academic Espionage and Fal'dorei Strider on the same late-game turn. The spell is also often played before Sprint. - All spells gain an extra point of strength as long as Bloodmage Thalnos is out on the board. He'll also pop a card from you deck pile into your hand when he dies. - Edwin VanCleef gains +2 / + 2 of stats for each card you played earlier on the same turn. You've a lot of low cost cards in this deck that can be used to empower this minion. - SI:7 Agent requires another card to be played first on the same turn if you want to achieve that bonus Battlecry damage. The same pre-condition applies to the card draw of Elven Minstrel and the devastating Battlecry of Vilespine Slayer. This mechanic also improves Eviscerate. - An Augmented Elekk on the board ensures the effects of Fal'dorei Strider and Academic Espionage actually go off twice.